Jeremy King concentrates his practice in real estate, business transactions and business litigation. He represents closely held businesses of all sizes in issues ranging from business formation, contracting, commercial real estate, land use and regulation, property tax, and mergers and acquisitions. 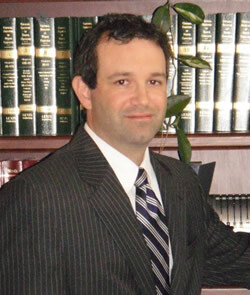 Jeremy also represents individuals in real estate transactions, real estate and contract based litigation, and alternative dispute resolution. Jeremy has experience working with farm and agricultural interests throughout Eastern North Carolina, as well as serving as a consultant on out of state agricultural projects. Jeremy is a member of the North Carolina and Pitt County Bar Associations and is licensed to practice law in both North Carolina state courts and the United States District Court for the Eastern District of North Carolina. Jeremy is a graduate of the University of North Carolina at Chapel Hill School of Law and has practiced law in Greenville since 2002. Jeremy is also a proud alumnus of the University of South Carolina and a graduate of Rose High School. In the community, Jeremy has served on the Pitt County Board of Equalization and Review since its inception in 2004 as Chairman (2007 to present) and Vice-Chairman (2004-2007). He also serves as counsel to Greenville Community Shelters, Inc. and actively served on the Board of Directors from 2003-2009.